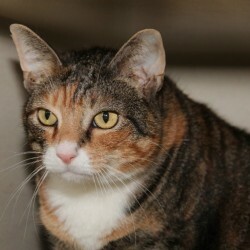 Malika is a 7 year old torti-calico girl who came to the shelter after her owner moved to an apartment that doesn’t allow pets. She is shy at first and would love to be in a quiet adult home. 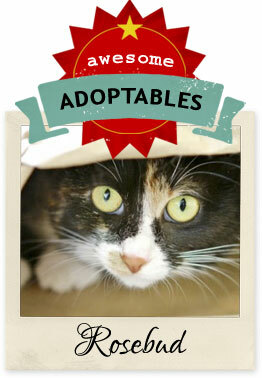 Malika is a sweet girl and once she trusts you, she likes to be petted and she loves to play!